Continuum is an exhibition of photographs by Michael Levin. Over ten years ago Levin began his photographic journey in the Pacific Northwest and has since broadened his geographic horizons into Japan, Iceland, France, the US and beyond. Though Levin’s photographs are made in a wide ranger of locations, the individual images are not necessarily about the specific place, but rather a moment in time and the experience of arriving there. Instead of seeking out a predetermined location, Levin travels and waits for a location to speak to him in a process that he describes more intuitive then logical. Susan Burnstine just published an interview with Michael Levin on her blog Underexposed. Read the interview here. Contact photo-eye Gallery Associate Director Anne Kelly (505.988.5152 x202) for more information. Photographs and other works by Allison Ramirez, Anne Kelly, Antone Dolezal, Cliff Shapiro, Melanie McWhorter and Sarah Bradley. 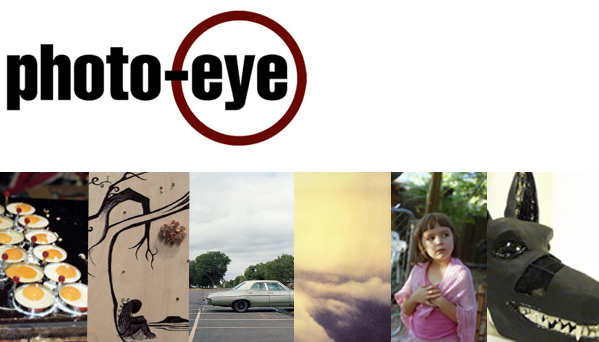 A reception and opening party will be held Friday, December 16th from 4:30 to 7 pm at photo-eye Bookstore. This year’s exhibition will feature photographs, drawings, masks and other mixed media formats by photo-eye Bookstore and Gallery staff. Artist and staff members featured are Allison Ramirez, Anne Kelly, Antone Dolezal, Cliff Shapiro, Melanie McWhorter and Sarah Bradley. Contact Melanie McWhorter (505.988.5152 x112) for more information.